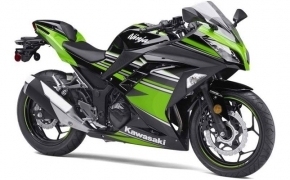 The made in India Kawasaki Ninja 300 is the cheapest twin cylinder entry level sportbike of the country. 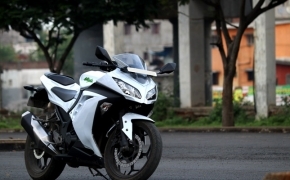 It is the 2019 model of the Ninja 300 that comes equipped with 'Assist with Slipper Clutch' and Anti Lock Braking System (ABS) as standard fitment. 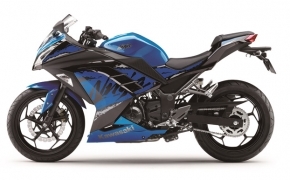 MRF tyres and Endurance brakes are featured on the new Ninja 300 as cost cutting measures. The engine remains same 296cc parallel twin motor mated to a 6-speed transmission gearbox. 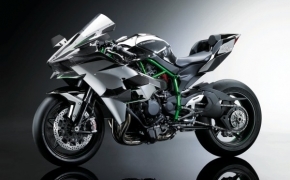 With the BMW 310 twins launched recently, Kawasaki has decided to lock horns immediately. 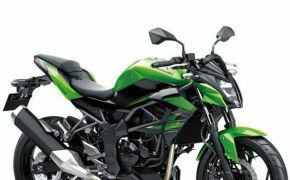 Kawasaki India has relaunched 2019 model of their highly successful entry level Ninja 300 at Rs. 2.98 lakhs (ex showroom Delhi), with a massive price cut of Rs. 62,000. This comes due to heavy localization and a few cost cutting here and there throughout the motorcycle. 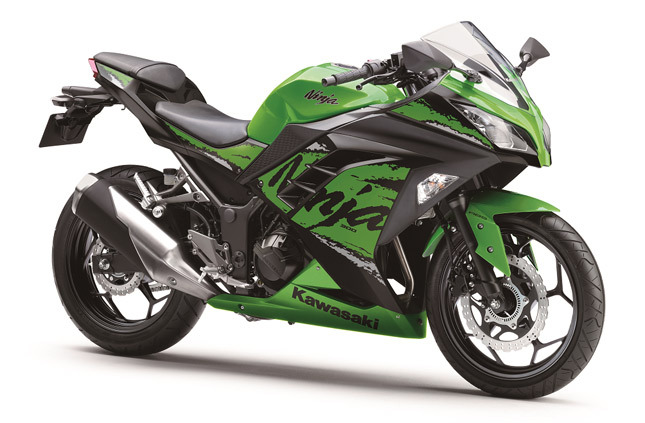 The Ninja 300 will still be on sale alongside its elder sibling, the Ninja 400. 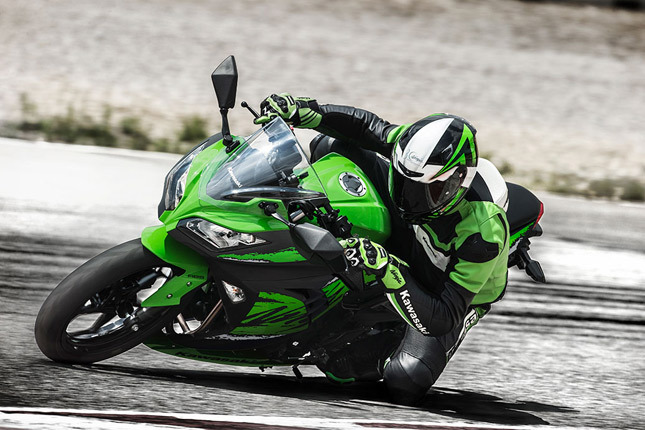 Here's an overview of what's changed and what's not, on the Kawasaki Ninja 300. LOOKS AND DESIGN: Aesthetically, the Ninja 300 remains unchanged retaining its beautiful twin headlights and chiseled body works. The colors have been changed a bit and the bike also gets some fancy branding stickers on the body. This time around, the motorcycle comes in Candy Plasma blue and Lime green/ebony shades. The bike also gets a large Ninja branding running through either sides of the fairing. The ride height though, has been lowered a bit by 5mm and the motorcycle weighs 7 kg heavier than its previous iteration. The engine and internals remain exactly the same with a 296cc parallel twin DOHC engine, churning out 38 BHP at 11,000 RPM and 27 Nm of peak torque at 10,000 RPM respectively. 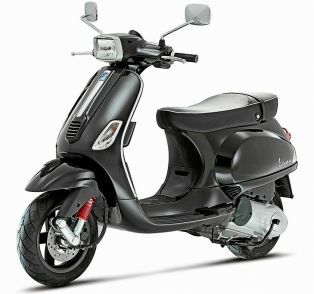 The engine is mated with the same 6 speed manual transmission and the clutch is a wet multiplate unit with slip assist. There should be no changes in the performance side, as the engine internals are mechanically identical. BRAKES, CHASSIS AND SUSPENSION: The motorcycle sits on the same proven high tensile diamond frame which provides great stability and maneuverability. Suspension duties are handled by 37mm conventional telescopic forks up front and a monoshock at the rear, just like the previous generation. The braking department gets some cost cutting measures as the front brake caliper is now replaced by Endurance units. The motorcycle now gets a single 290mm petal disc with endurance calipers up front and a 220mm single disc at the rear. Dual channel ABS now comes in as a part of the standard equipment. 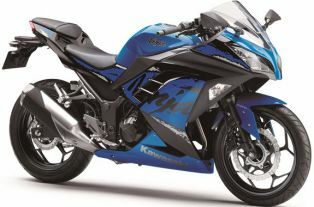 This move by Kawasaki looks like a nail in the coffin of the BMW 310 twins, as the buyers would pay Rs. 1000 lesser than the R 310 R and still get a tried and tested parallel twin engine from the Japanese stable. 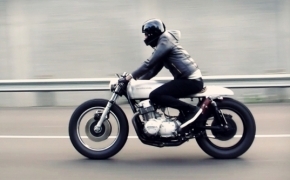 Though both motorcycles are of different categories, people have been using them as touring machines. 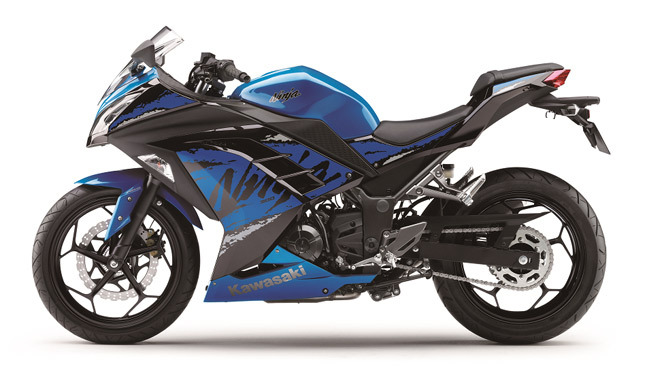 The Ninja 300 is one of the trusted motorcycles for Khardung La ride, as far as Indian market is concerned. At Rs. 2.98 lakhs, the Ninja 300 is currently the cheapest parallel twin motorcycle available in the country, thanks to heavy localization of spares. With this being said, service and spares cost would also see a mild dip. This move makes it a win-win situation for the customer as well as the manufacturer, both being mutually beneficial. Suspension Rear Offset laydown single-shock, linkage-equipped. 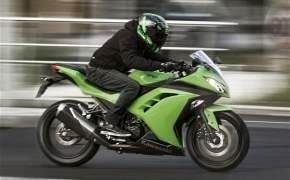 When I was studying in my 10th grade, there was a green color bike standing next to my tuition center, it looked absolutely gorgeous, I went close to see its name, it said Kawasaki Ninja 250, I didn't have great knowledge about bikes then, but then took up interests to learn a lot about them. Since then I fell in love with that motorcycle just for the way it looked. Clip-on handlebars are used in order to achieve many advantages without losing much on handling and flickability. But there is a catch, not all the handlebars you consider as Clipons are actual Clip-ons rather they are faux ones, confused? 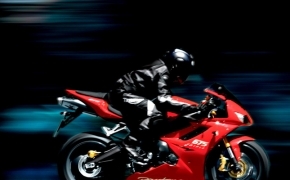 You must understand that we are not talking about 600-1000cc inline-4 cylinder monsters as it will be like you are buying a sportbike with a sole purpose of killing or injuring yourself, because these machines are like mad horses and will not tolerate your silly mistakes. Here we are talking about 250cc above bikes which are best before you saddle on 600-1000cc monsters.